17 thrilling sports will take place over 11 days of action-packed competition, at venues across the host city and throughout the West Midlands and beyond. Over one million tickets will be available– and go on sale closer to the event. All of the venues are already open – with the exception of the new Aquatics Centre planned to be built in Sandwell – and well-established and experienced hosts of world-class sport. This was a key benefit of the original bid, supporting the Games Partners and Commonwealth Sports Movement’s ambitions to increase the efficiency and affordability of hosting the Games. 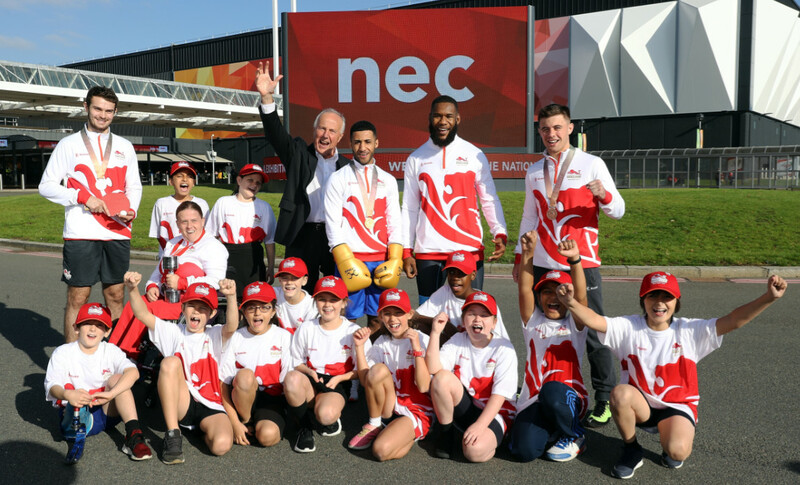 John Crabtree, Chairman of the Birmingham Organising Committee of the 2022 Commonwealth Games said: “We were thrilled to welcome local schoolchildren and Team England stars to help celebrate the confirmed sport and venue programme for 2022, bringing a tiny flavour of the Games’ sporting spirit to the NEC, one of our main venue clusters. It’s anotherimportant milestone as progress continues towards Birmingham’s largest-ever global sporting and cultural event in less than four years’ time. 12 of the 17 sports take place in existing venues across the host city: Athletics and Para-Athletics will take place at a significantly-upgraded Alexander Stadium, located close to the Commonwealth Games Village; Arena Birmingham will host Gymnastics; whilst the NEC campus will host six sports– Badminton, Boxing, Judo, Table Tennis, Weightlifting (and Para Powerlifting) and Wrestling. Birmingham University’s facilities will be home to Hockey and Squash; and Aston Villa’s footballground Villa Park will be the stadium for the Rugby Sevens action. A city-centre location for the 3×3 Basketball and Wheelchair Basketball events is still being finalised. Commonwealth Games England Chairman Ian Metcalfe said: “On behalf of Commonwealth Games England, I’m so pleased with the announcement of the sport programme and venues.The Birmingham 2022 Commonwealth Games will be an incredible opportunity for Team England to build on the English sporting pride that we saw on the Gold Coast. Our athletes will benefit from the power and support of a home crowd while competing in world class venues in Birmingham, the West Midlands and England.